Press forward, do not stay for long for any sights. We can go forward always but never look back for any reason. Our journey has molded us for our greater good, and it was exactly what it needed to be. Don’t think that we’ve lost time. It took each and every situation you have encountered to bring you to the now and now is right on time. It’s a life’s journey of finding ourselves, finding our power and living for yourself, not for everyone else. 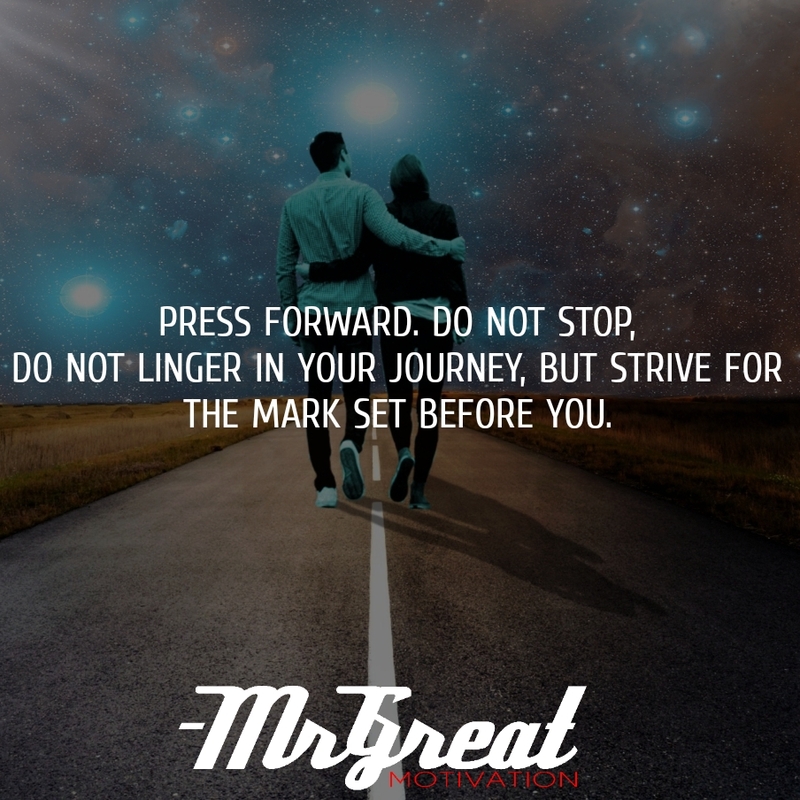 Do not stop, do not linger in your journey, but strive for the mark set before you. Life is a journey. We are the traveler and what we come across in the journey is the experience. There’s no need to have a look at which places others are visiting. Take away which is best for you and reach your destination.